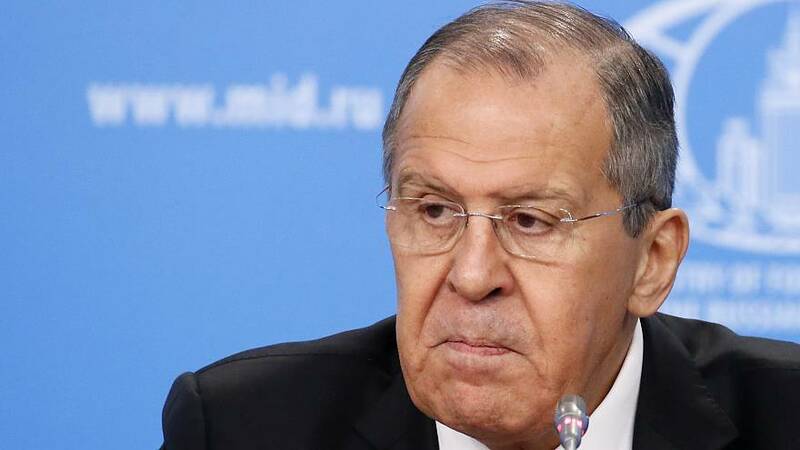 Russian Foreign Minister Sergey Lavrov held his annual press conference on Wednesday in Moscow. He was questioned on many topics, including the arrest of US marine Paul Whelan, FYR Macedonia's name change, and Brexit. Lavrov said that Whelan, a former US marine who was accused of spying in Russia, was "arrested, detained at the moment of a specific illegal activity." "He was caught red-handed," he added. Whelan, who also holds British, Canadian and Irish passports, was detained by Russia's Federal Security Service on December 28. His family said he is innocent and that he was attending a wedding in Moscow at the time. The foreign minister said Russia had provided more information about what was happening with the US marine than the UK had with the poisoning of Sergey and Yulia Skripal, adding the situation was "completely out of line". "It will soon be a year that they do not give us access to them [Sergey and Yulia Skripal] in response to our numerous requests. They don't show them to us, they don't tell us where they are." According to Lavrov, London has not yet requested consular access to Whelan: "If such a request is made, we will not act like our British colleagues. We will act in line with the Convention and the diplomatic etiquette." Lavrov questioned whether the name change process was "legitimate" and if the deal came out of the desire from Athens and Skopje to find consensus, or if it was a tactic by the United States to drive all the Balkan countries into NATO as soon as possible and weaken Russia's influence in the region. "The rules that are being promoted in the Balkans, in general, are quite dangerous and reflect the obsession [of Western countries] to quickly drive all the Balkan countries into NATO." Euronews' correspondent Galina Polonskaya asked a question about Brexit question and Lavrov said that it was Britain's "business". However, he added that Russia does care how Brexit affects the European Union since the EU is one of Russia's "biggest partners". "It is important for us to understand how this will affect our relations, above all, in trade and economics," he said.